Your first plunge in Lost Lake. It’s the feeling that comes with each great adventure that awaits. And like a loyal friend, we;re not above you. We’re right beside you. We’re Lost Lake. Join our eClub to receive your very own Lost Lake Koozie and receive the latest news and information on Sweepstakes and Promotions. 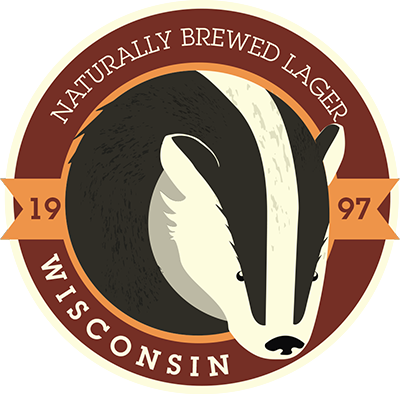 Lost Lake Naturally Brewed Pilsner is a light golden refreshing American Pale Lager style beer, complete with that underlying lager sweetness. Our Pilsner is an inexpensive, easy-drinking brew, with a 5.6% alcohol volume. Lost Lake Light was the third beer introduced to the Lost Lake family. It delivers on all the bang for the buck with less calories. 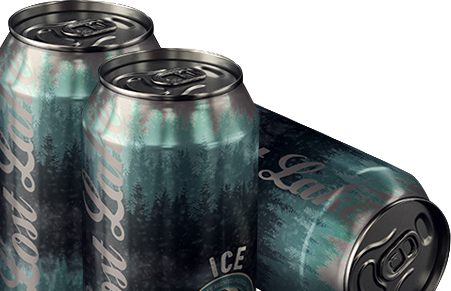 The bold taste of Lost Lake Ice is similar to the Lost Lake Pilsner with added ingredients for stronger alcohol volume. Lost Lake Naturally Brewed Amber is an American amber/red lager that is light-to-medium bodied with a smooth finish. You need an escape from the daily grind. Cinching your boots up you start your hike – just like those you’ve taken a hundred times. But this time it feels different – unlike ever before. Through the thick secluded woods, where there are no trails – the hours tick by – but with each step you are compelled to journey deeper – to go even further than ever before. Something tells you there’s no turning back this time – because something special awaits. Just as dusk settles in – and sunlight is fighting its way to you – you see something moving in the distance ahead – a silhouette beckoning to guide you on your escape from captivity. Your pace quickens. And then it reveals itself – a creature that in your mind – embodies all traits honorable. Stout. Brave. Powerful. Fearless. It’s an invincible badger. You follow him without ever questioning why. And with each step, it grows stronger, that feeling you are going somewhere special. Where few have gone before. Forward. Onward. Then you see it. Dissolving in the mist, vanquishing the mountains embracing it – a place like no other is suddenly revealed. And as you enjoy the waves dancing across its surface, you realize…you’ve arrived. In nature, on the field of play, at a party, or just hanging out with friends after work… wherever you go to escape the demands of daily life there’s always Lost Lake. A bold premium lager with what else – a Badger as its mascot. Because like a loyal friend, we’re not above you. We’re right beside you. The origins of Lost Lake started with two beer masters (beer fans) over 30 years ago. Inspired by North America’s great lakes and the idea of travel and exploration, Lost Lake was to become a staple Pilsner beer in the marketplace. Throughout the 1990s, Lost Lake expanded across eight states and new styles were introduced: Lost Lake ICE, Lost Lake Light, and Lost Lake Amber. 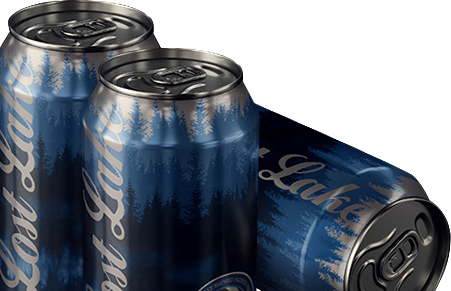 Lost Lake expanded to distributors across the country and produces thousands of cases per year. Most notably the beer can be found at Lambeau Field in Wisconsin. Recently Lost Lake underwent a ‘makeover’. The taste you know and love hasn’t changed but the brand now pays tribute to the heritage of the North. Joe was born to brew. He graduated from brewing school in 1974 in Chicago Siebel Institute of Technology. He’s spent 52 years at the same brewery. That’s 5-2 years! Joe started at his first brewery at 17-years old… G Heileman Brewing Company to be exact. Stroh Brewing Company purchased it in 1999. When the two companies merged, Joe found himself also brewing tea, and moved to Lacrosse to brew beer only. The Lacrosse plant – became City Brewery (a contract brewer). Joe retired from the brewery – and now he is technically a “customer” who brews solely for Universal Sales/ Lost Lake beers. Enter Greg Naifeh who called on Joe to be the brewmaster for Lost Lake. Lost Lake ICE was the 2nd beer they brewed. A true Ice beer that partially freezes after fermentation allowing for the removal of ice crystals to produce a stronger, more flavorful beer. The third beer to join the family was a Light Beer – Lost Lake Light is specially brewed to produce a lower calorie, more accessible and easy drinking product. Finally, Joe created the Amber formula – Lost Lake Amber has the addition of rich, sweet, caramel flavors. Joe says that brewing is a combination of both art and science – science in terms of working with yeast, sugars, etc. – but the #1 thing with brewing beer is cleanliness. This is what he emphasizes more than anything to today’s home brewers. Sanitized equipment makes for pure beer flavor.